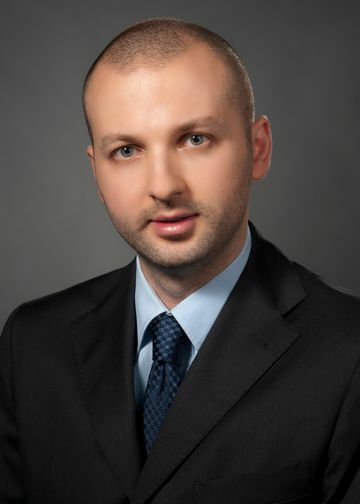 Alex Makhnevich is a board certified physician in internal medicine and works as a teacher attending in the Division of Hospital Medicine at the Donald and Barbara Zucker School of Medicine at Hofstra/Northwell. He has been heavily involved in the clinical training of interns and residents in the department of medicine with an emphasis on evidenced-based medicine and also spends time as a medical student clinical teacher. Dr. Makhnevich has facilitated a workshop in cellulitis at SHM and has published a review article on cellulitis. Currently, he is working on a review article on aspiration pneumonia in the eldery and is beginning a career in clinical research. Dr. Makhnevich’s research is focused on improving evidenced-based medicine in hospitalized patients by developing clinical prediction tools with clinical decision support systems which will lead to improved patient safety and cost effectiveness. Current work includes evaluating the performance of non-contrast CT scans of the chest in establishing a definitive diagnosis in patients presenting to the emergency room with respiratory symptoms with an unclear etiology. He is continuing work as a sub-investigator at North Shore University Hosptial for the MARINER study, a global trial of extended post-discharge VTE prophylaxis in high-risk patients.